Believe it or not, this is what everyone wants to know. Australia has a fabulous economy and health system. Many overseas countries have a rate approaching 100 deaths per 1000 newborn children, while Australia's rate is 6 per 1000. Generally, Australians have never been exposed to the diseases that cause the deaths of children overseas, and we as adults (or our children) can catch them. We are not immune to these, and many Australians have never even heard of some of them! Click on the Diseases tab for a summary of some of the vaccine preventable diseases. Click on the name of the disease in the drop down box for more information on that specific disease. An appointment with one of our travel health specialists is necessary to figure out which vaccines are needed for you specifically. Your planned activities, medical history and any previous travel vaccines can determine what is or isn't recommended. This can only be determined via assessment during a consultation. Note: 0 refers to day zero, or the day you have the first injection. Malaria There is no vaccine. This is prevented by taking medication whilst away. Some diseases also confer lifelong immunity. They are Hepatitis A, B (sometimes), and measles. Other diseases do not as there is more than one strain, or they are fatal. Vaccination schedules vary and doctors vary in their level of understanding as to how long it takes to get effective vaccination cover. The immunology experts are often reviewing the "rules" of vaccination and the information disseminates somewhat slowly through the medical community. Travel-Bug makes it its business to have all this information at the fingertips of its staff at all times. What is fair to say is that after a vaccine course, full cover will be effective about 10 days after the injections. Some diseases have incubation periods longer than this, so you can actually have the vaccine after exposure! It will also take you some time to get to far away places (2-3 days in some cases) where the more exotic diseases exist! Below is a list of absolute minimum times that we consider vaccination will provide you with some cover. If you stay away a while, your cover will get better with time. If you have had the vaccines before the time is reduced to a day or 2. Of course, if you are travelling for 2 weeks plus, there is still value in having the vaccines after the cut off date, as it is only the first few days that you would be at risk. Some of the vaccines (once the full schedule is completed) are for life (eg A, B, Polio, MMR, rabies), so having them late for this trip means you at least are having them in time for your next trip!!! All vaccines can have side effects. The expected side effects of non-live vaccines are soreness at the injection site. This can include redness, some swelling, a feeling of burning/stinging and heat. Infrequently you can develop a lump; this is common with tetanus containing vaccines in susceptible individuals. Some individuals can feel tired and/or experience mild fever within the 48 hours post vaccination. Get lots of rest and eat properly. If you have a live vaccine, such as Yellow Fever, side effects can be delayed until 7-10 days post vaccination. You will be given a handout when you receive this vaccination. Extreme side effects are very rare. If full arm swelling, redness or full body hives occurs please call our number 08 8267 3544. Take an antihistamine immediately and place a cool compress (cold wet cloth) on the site. We will discuss if you should be seen at the clinic and give you further instructions. Rabies is a fatal disease carried by mammals in most countries other than Australia. If you are bitten or scratched while overseas you should seek immediate treatment while there. Travel-Bug can provide follow up vaccinations as per the schedule when you come back to Australia. If you have returned to Australia and have not sought medical attention, please call us on 8267 3544 to arrange an appointment as soon as possible. We consider post-bite rabies as a priority so we will fit you in at your earliest convenience, preferably on the day that you call. Even if you were bitten or scratched a while ago, even years ago, it is still important to seek treatment as the incubation period can last anywhere up to 17 years. For more information see our page on the Rabies Disease and also Rabies Vaccination. First aid care of the wound by thorough cleansing with disinfectant (or soap/detergent and water) is essential. Medical advice and treatment must be sought immediately within 24 hours. Other treatment may include tetanus injection (if greater than 10 years since last one), wound care and antibiotics. Patients who HAVE NOT been vaccinated with rabies vaccine before travelling will require the Rabies Immunoglobulin, (a blood/plasma product - usually only available in major cities) plus 5 doses of the rabies vaccine are required over the 28 days on 0, 3, 7, 14, 28. Patients who HAVE been vaccinated before travelling with full course of 3 or 4 rabies vaccines will not require the Rabies Immunoglobulin (blood/plasma product), and only require 2 rabies vaccines on day 0 and 3. Medical advice must be sought as soon as possible. If you are travelling with medication, needles or syringes make sure it is legal in the countries you are visiting by contacting the relevant foreign mission in Australia. Contact details are available at www.dfat.gov.au/embassies.html. If you need to travel with large quantities of medication, it is good practice to separate the quantity between your luggage, in case bags go missing. Keep all medications in the original, labelled container to avoid customs problems. Make sure you carry a copy of a letter from your doctor explaining what the medicine is and stating it is for personal use only. Travel-Bug will provide you with an authorization letter for any medications that you purchase through us during your consultation. Missed a Few Vaccines as a Child? This can make for a difficult travel medicine consultation, as we only allow enough time to do the travel part. It would be a great idea to go to your usual doctor and get these vaccines administered before you come to see us. If you are an adult then we can probably do most of it. If you are under 18 then your GP is the best option. In Australia we are protected from the diseases by the very fact that the diseases are not here to catch. When you go overseas that luxury is removed and the highly contagious diseases are much more likely to be caught by the under-immunized. Do not be fooled by alternatives to medical vaccination as there is no proper and reliable evidence that this will protect you - none whatsoever, and we are quite firm in our resolve about this. If you are venturing to an overseas country classified as developing, what is known is that the vaccination rates are much lower in their children so the diseases still exist. For example, there were approximately 6000 cases of measles in Indonesia last year. In South Australia, there were around 20 cases and almost all of these cases were caught by an overseas traveller who brought it back from somewhere. In other words, for an unvaccinated South Australian child to catch measles they would have to be in the same room as one of these 20 people for a short time, or shortly after. So you can see why you might not catch measles here. As an example, if you travel you may go to a market or be in a hotel lobby, take a taxi or a bus. Anyone in any of these places could be infected and they could cough or sneeze on you or even on surfaces which you then touch yourself (the bugs can stay alive for a few hours). Sometimes this is all it takes to become sick. This could result in a week or two in bed, or if unlucky, a brain infection that can be permanent or result in death. We do not wish this outcome for you or your child as a consequence of misinformation. This is meant to be a holiday! 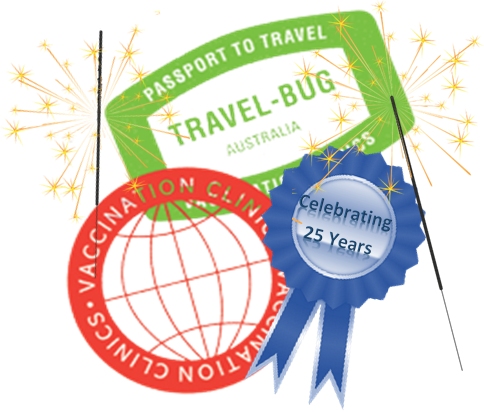 Travel-Bug Vaccination clinic's policy is that all children are to be immunised with the ACIR schedule unless there is a specific contraindication associated with a pathological condition diagnosed by a specialist. It is our view as a Public Health Policy and in the interest of community immunity that parents have their children immunised with all the vaccines offered to them free of charge by the Australian Government. This ensures a broad protection from childhood vaccine preventable diseases. It is not in our interest to complicate your primary providers relationship with immunising your child. 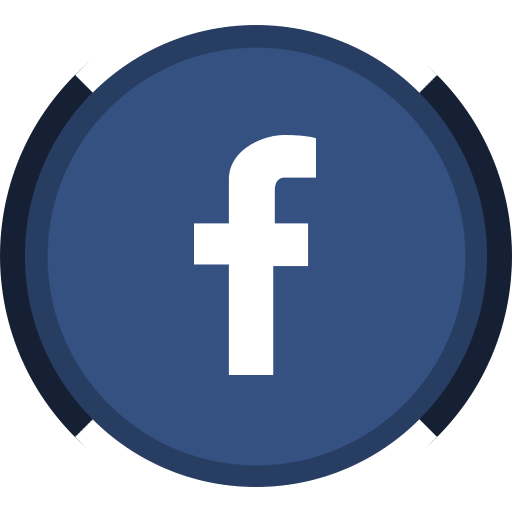 We believe that your primary provider and yourself need to discuss the pros and cons of childhood immunisations. Our role is to advise you of the Travel Health immunisations we recommend for your trip and we will also provide handouts. We will also discuss the associated risks such as insect, food and water borne diseases, the precautions you should take and the risks associated with travelling with children. In the event that your child is not up to date with the ACIR schedule please make an appointment with your primary provider for these immediately and get them all done if possible before travel. If your child has had no vaccines it will take about 3 months to get close to full vaccination status, so act soon! Some Vaccines are now oral, some are combined and our nurses are very experienced. We remove the needle issued with the vaccines and use a much smaller one and it is often almost painless. As we give hundreds of injections per week, our clients are often seriously surprised how little they feel - and we are not just saying this! If you have a phobia, let us know and we will take even more extra steps for you. If you have a child under the age of 6 months very rarely are vaccinations indicated. If you have children we recommend that you have a consultation to discuss ALL the issues, not just vaccines. A child can be seriously unwell before you notice and medical facilities are often substandard. Please take the matter very seriously.